Image Courtesy Mariah Carey via TwitterAs Mariah Carey fans await the release of her new single “The Art of Letting Go,” the diva has taken to Facebook to tell them a bit about the song. 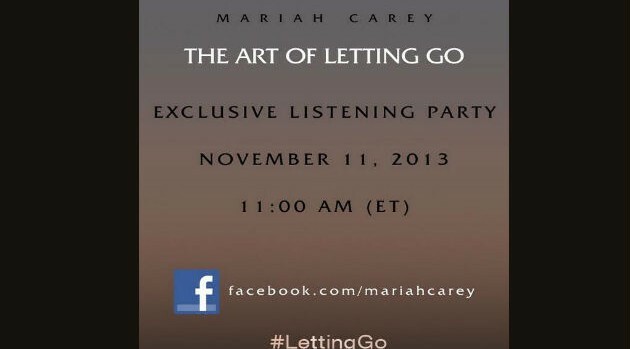 “The Art of Letting Go” will debut on November 11 on Mariah’s Facebook page at 11 a.m. ET.